Card shaped like a church that displays when opened. 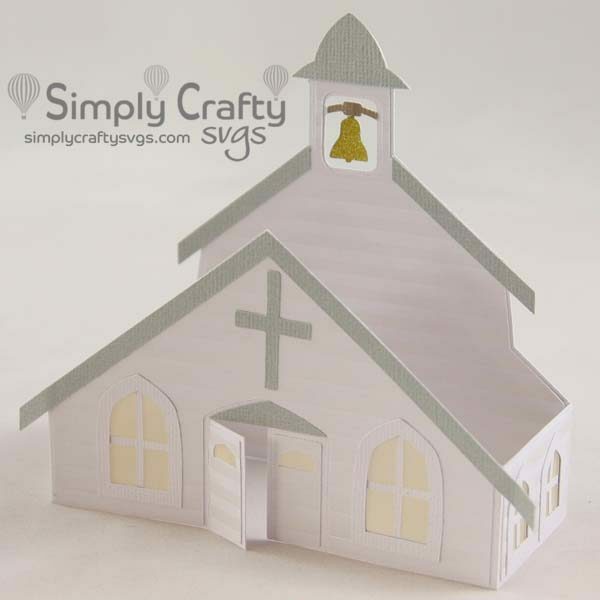 Use the Church Box Card SVG File to make a card for Christmas or for any other suitable occasion. Add small tealight to illuminate the church at night. Box card folds flat to fit into an A7 envelope and displays easily open. If you do not have any A7 envelopes, make one with the FREE Basic Envelope Set.